Domains commonly included in frailty definitions. Comparison of interventions scoring system. AHP = allied health professionals. MDT = multidisciplinary team. 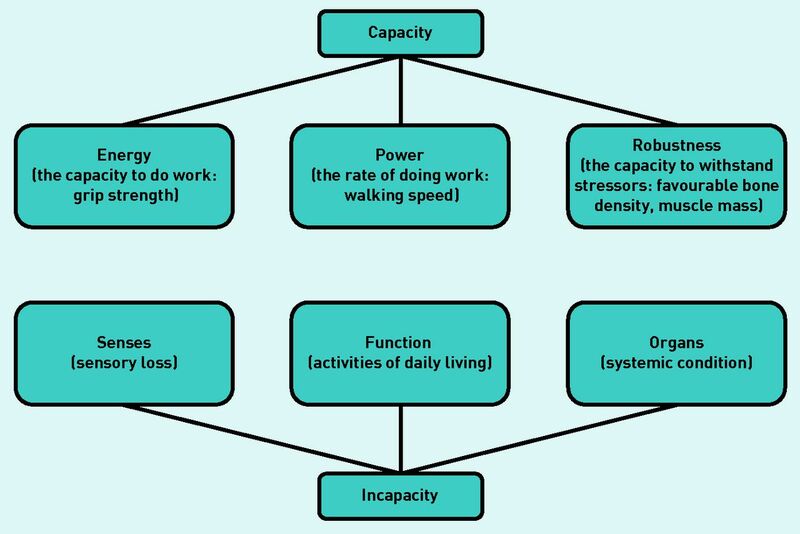 Overview of types of interventions for frailty. a30/46 studies (65%) had more than one intervention. CBT = cognitive behavioural therapy. DHEA = dehydroepiandrosterone. 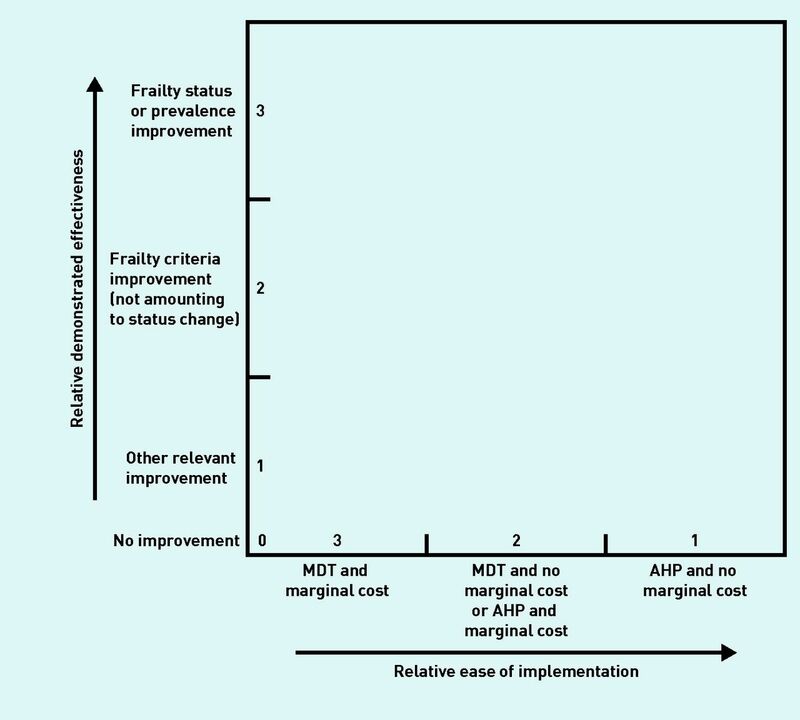 Comparison of interventions for frailty. CBT = cognitive behavioural therapy. 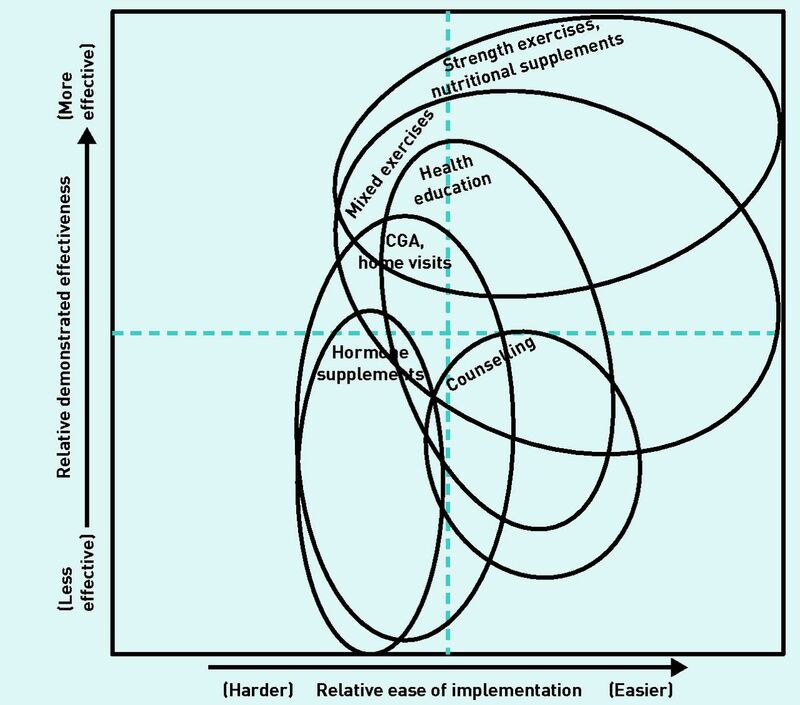 CGA = comprehensive geriatric assessment. DHEA = dehydroepiandrosterone. meds rv = medication review. 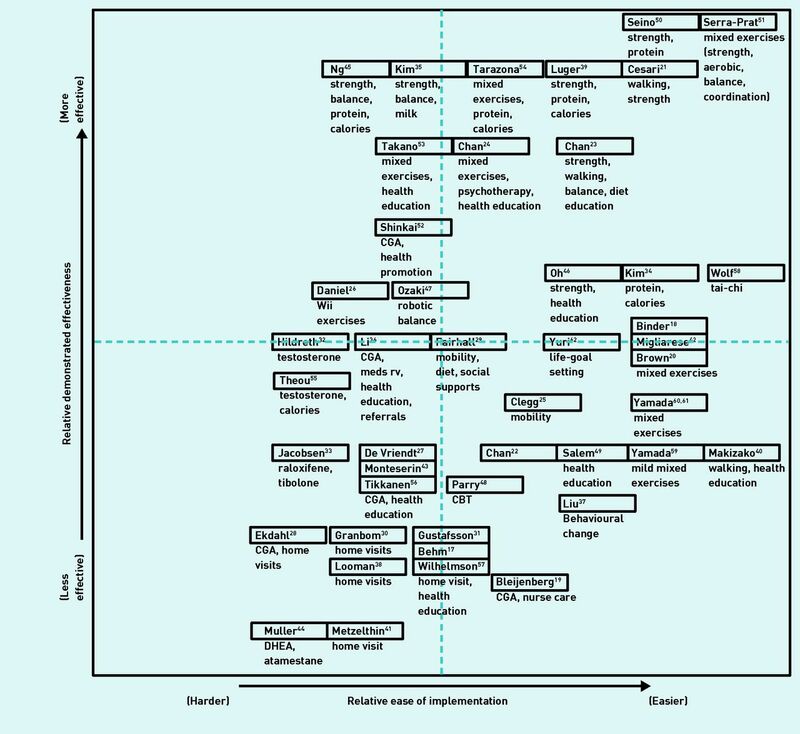 Overview of key intervention clusters. CGA = comprehensive geriatric assessments.